My name is Jedd Johnson, and I am just like you. I have suffered from intense pain in my elbows and forearms, I’ve struggled through workouts, and I’ve laid in bed awake at night wondering if the pain in my elbow was ever going to go away. WHAT JUST HAPPENED TO MY FOREARM???? Both are very common injuries that thousands of people suffer from each year – the only difference was most people only get one or the other. Both sides of my elbow were sensitive to the touch and they hurt so bad, I couldn’t even drink coffee using that arm for a week due to the pain. I soon began going to a therapist and after spending hundreds of dollars and missing countless half-days of work, the pain was gone and I was back to my old self again. I decided to take it a little easier on the Nail Bending after that. Over the next couple of years, I experienced other bouts of Tennis Elbow, but thankfully, it was never as severe as that first time – and I think that is because I have figured out how to prevent it from happening again. I have identified a handful of simple and easy-to-perform drills, that I do on a regular basis that I plug right into my current training and lifestyle, to prevent that terrible forearm pain from coming back. 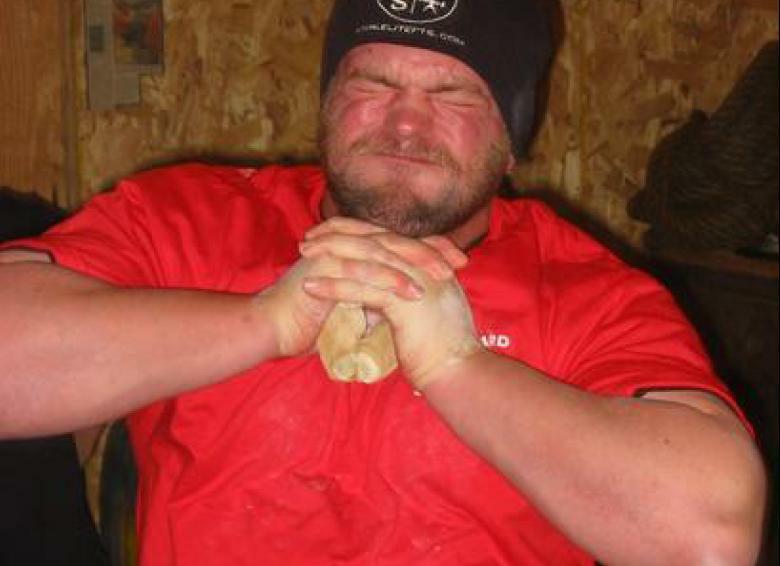 Unfortunately, because I am recognized as an expert on grip and forearm strength development, I am contacted by people just like yourself from all over the world every single week about pain they are experiencing in their forearms and elbows. Preventing forearm pain is my strong point, but what about those who already have forearm pain and so desperately need relief? 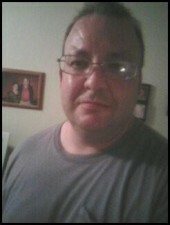 I knew I needed to find somebody who was a master at helping people recover from injuries they had. 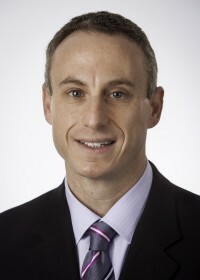 For over a year, I kept on reading about this injury expert, Rick Kaselj. 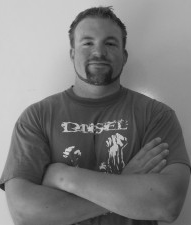 I would see his name here, or see him in a video there, and I came to realize that Rick Kaselj was exactly the person I needed to work with to help people like you solve even their most frustrating elbow and forearm injuries! I called Rick up – and as soon as he and I started talking, the gears started turning. We began brainstorming about all of our methods for fixing forearm pain and ending elbow injuries for good. It was the first time we had ever talked to one another, but it was as if we were two old friends who were catching up, the way we were sharing stories about how our most trusted injury recovery and prevention methods had helped so many people. When two like minds are able to feed off one another, it is like an explosion of new ideas. Before we knew it, the Fixing Elbow Pain System had written itself. 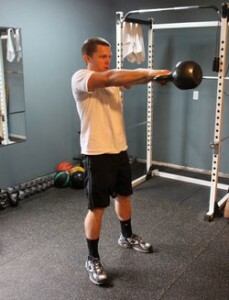 In this component, Rick will show you what you need to do for lateral elbow pain. It’s as if you’re in an appointment with Rick, as he takes you by the hand and explains everything you need to know about lateral elbow pain. He shows you the components of the Fixing Lateral Elbow Pain system in order to give you pain relief. Rick will take the time to explain things in a way that you will understand and show you what you need to do, to get the most out of the exercises. The first time you see this, you will see how different this program is from anything you have seen or any appointments you have attended for your pain. When medial elbow pain hits, you always ask yourself, “What can I do to get rid of this?” Rick shows you what you can do. Rick will show you the exercises to focus on and how to build a compounding pain relief effect from the exercises. You will also see how easy it is to perform medial elbow pain relieving exercises and how little equipment you need. Next, he will show you specific things to look for when doing activities that are known to cause forearm pain and how you can avoid them. In this section, I will cover the best ways to keep injuries from taking place, showing you how to be pro-active without having to sacrifice training time or results – in fact, your results will be even better. Pre-Activity Injury Prevention: We will look at how to get ready for sports, training, and other demanding activities just by including a proper warm-up. I’ll show you exactly how to do this effective warm-up to get blood flowing throughout the entire body, into the core, and out to the lower arms, helping you get primed for awesome workouts, big games, and any other time performance counts! During-Activity Prevention Measures: You work hard, you practice hard, you play hard, and you train hard. I will show you how to keep on doing all of these things at a top level, by keeping an eye on certain risk factors that you are probably ignoring right now. Get ready to turn it up a notch, SAFELY. Post-Activity Prevention Measures: This section is all about the Recovery Process. I will show you how you can jump-start the recovery process by reducing the tension stored in the muscles and tendons following a workout with a short battery of stretches I have found to be very helpful to me over the years. Effective Pre-habilitation for the Elbow Area and Forearms comes down to three types of training: Antagonistic Balance, Rotation Training, and Increasing Blood Flow. Antagonistic Balance: This is just a fancy way of talking about training the extensors effectively. By strengthening the extensors, the muscles on the back of the forearm that open the hand, we are better able to maintain balance between them and the opposing muscle group, the flexors – the muscles on the bottom of the forearm that close the hand. These exercises are easy to perform, cost very little to incorporate, and you can build most of them yourself. Rotation Training: By training the forearm rotators, we are able to strengthen the muscles that turn the forearm – muscles that are often completely neglected in forearm training, which results in weakness and susceptibility to injury. These are more simple exercises that you can begin doing with no problem at all. Increasing Blood Flow: Blood brings nutrients to repair damaged tissue and helps carry away contaminants. You will learn 5 new exercises that you can do that will help promote circulation to the elbow area in order to keep it going strong. Click HERE now to order the Fixing Elbow Pain System for $27. Many people can hardly believe the amazing difference they see and feel in their training, sports, pastimes, and life in general, once the nagging ache that comes with injuries like Tennis Elbow, Golfer’s Elbow, and other Forearm problems finally goes away. You will be able to go through the day with confidence instead of dreading pain every time you lift, push, or pull something. You will be able to see progress in your sports and strength training because you’ll no longer be hindered by the aggravating pain in your forearm, every time you bend or straighten your elbow. It’s going to be great when you are back to your normal self again, right? With our program, it is just a matter of time until you’re back to your normal self again. First off, I bought the Fixing Elbow Pain program the day it was released, I started using it that day and my medial elbow pain is already going away. Thank you. It’s great, and I will put your Pre-Hab exercises to good use. “I have been working on grip and old-time feats of strength for several years now. The intense training had caused me to have a pretty rough bout of tendinitis in my right elbow. After a few weeks of suffering through the discomfort and hoping that it would go away, I decided I would give Jedd’s program a try. After a few weeks of doing the rehab that Rick Kaselj demonstrated in the program, and also the preventative stuff that Jedd goes over – I finally got a handle on my elbow pain. I tried a lot of the different exercise within ‘fixing elbow pain’ but the one that REALLY made a huge difference was developing the flexor with elastic bands. I went on to purchase the Ironmind sets of bands, expensive for what they are but they did the trick and cured the pain. On day 1, you will wonder if this stuff works but you will start it anyway, and begin to realize how simple it is to do what we suggest. You’ll see that the changes we suggest are not hard to do at all, and the exercises are not complex. On day 3, you will want to do more of the program because you will be seeing improvement already. You’ll notice the pain sensations decreasing and things are feeling looser and more mobile. On day 6, the program will be incorporated into your life and with the reduction in pain and the increase in strength, you’ll be glad you found this program. On day 7, you will wonder why you did not get this program sooner! Many people have issues with Elbow and Forearm Pain either consistently or off and on over the course of the years. Forearm and Elbow Pain can be so frustrating, because it just won’t go away! I bet you have heard all kinds of crazy things about how to fix it. Question: I have been told that I need to strengthen my forearm in order to fix the injury. Will I get better if I just do some strengthening exercises? Strengthening your forearm is important but not the only thing you need to be doing in order to overcome your forearm pain. You also need to eliminate the tension in your forearm, stretch and lengthen the muscles and even address weaknesses in your shoulder. In our program, Rick and I lay out the complete process for healing your forearm or elbow injury, and for keeping it from coming back. This requires the proper activities to be done in the right sequence and with the right progressions. Question: I was surfing around the internet and found a bunch of elbow and forearm pain exercises. Can’t I just do these to feel better? There is a lot of stuff on the internet when it comes to forearm pain. The problem is finding complete information on forearm pain from reliable sources. What you will usually find is incomplete programs focusing on just one or two components of a forearm pain recovery program. It may be stretching. There are still many other components that need to be done in order to create a successful forearm pain program. Doing the exercises you find on the internet might lead toward your forearm feeling better for a little while but the pain will be back again because most exercise programs are missing the other key components. What you’ll also find is unreliable sources of shoddy information. These are often fly-by-night marketers who read a book over the weekend and think they are masters at curing forearm pain. That is not what Rick and I are about – we want to get you the information we have been developing for years in order to help you get back to normal and keep forearm pain from coming back ever again. Question: I have a bunch of exercises that I got for Forearm Pain from someone else. Shouldn’t these work for me just as well? The problem with doing whatever exercise you find is often key components of an effective forearm injury program are left out and forgotten. Common areas that are missed are volume, or doing the correct amount of work, therapeutic measures, such as relieving built up tension in the soft tissues, and lengthening the forearm muscles through proper stretching practices. These are all important for ending the suffering that forearm pain gives you, and must all be done properly for the best, long-lasting results, but most programs leave these completely out altogether. On top of all that, even simple concepts like the order that exercises are done as well as progressions, can take an otherwise decent program and make it not only ineffective for you, but also make you worse. Our program has been developed from our years of experience in the field, so you can be confident it will work for you. Question: Are these exercises going to add a bunch of extra time to my workout? We learned a long time ago that the amount of work you do in a forearm pain fixing program is just as important as the kinds of exercises you do. We have included only the exercises we consider to be essential to the process of healing the injured forearm and elbow area in order to bring it back to a healthy, stable, and strong state again. In short, the sessions you will perform in our program will be very manageable, and will not cause you to miss time in your other activities, or keep you away from your family, either. I thought the program was well written. I have borrowed certain concepts when discussing elbow issues with patients. Applying your techniques, I was able to resume doing pullups and was able to continue with my kettlebell obsession (heavy cleans were killing me) to eventually become SFG certified. Bilateral medial and right sided lateral epicondylitis was spilling over into my ability to use heavy surgical instruments without pain, which obviously is a career killer. Your techniques were great in relieving my symptoms. I would describe Fixing Elbow Pain as a professional, integrated program designed to treat and correct tennis elbow, golfer’s elbow and similar ailments. I would add that it is can be easily done, at home, with a variety of implements commonly found around the house and only takes a few minutes to complete. The best thing about our program, Fixing Elbow Pain, is that you will gain instant access once you decide to get started. Yes, in just a matter of minutes you will be able to get a better understanding of the causes of your injuries and the way that we will help you get rid of the pain that you are in right now. That’s right, there will be no need to call a doctor’s office in order to make an appointment. You won’t have to wait for days or weeks until the date of your appointment. There will be no need to go to a waiting room, waiting your turn to see the doctor. And that is because Fixing Forearm Pain is a digital product. Now, for some people, this may be the first time you have purchased a digital product and you might have some questions, so let’s address those right now as well. It is a series of stretches & exercises that you can do to add strength & flexibility to tendons in the arm that help alleviate tennis elbow pain. Fixing elbow pain has really improved the quality of my everyday, not to mention my ability to train. Its simple and easy to follow. I can even follow it on days I travel out of town. I’m currently working on getting regular with maintenance. My elbow pain started up again (inside elbow), but that was my bad for not keeping up with the maintenance. Been pretty trouble free though till now. Fixing Elbow Pain has improved my life by allowing me to keep playing racquetball through some pain. I used the massaging techniques and I’m planning to start again and go through the program and determine what kind of muscle imbalances I have. Question: What format is this product in? Is it a hard copy book or printed manual? 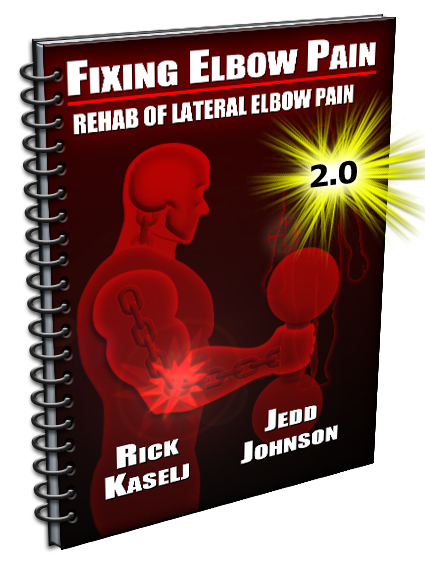 The Fixing Elbow Pain Program is an Ebook. Ebook is short for electronic book, a document you read from your PC, Computer, or other electronic device. You download it to the device and you are able to read it whenever and wherever you like. Question: Will I have to read it all in one setting? No way! Any time you have free time, you will be able to open the file and read it. Any time you want to refresh your memory on a training technique, or try a new exercise in your routine, you can open the file back up and find whatever you need. Question: Do I have to buy a bunch of expensive gadgets and gizmos in order to use the Fixing Elbow Pain System? No. Many of the drills and exercises shown in the program involve very little equipment, or items you already have in your home, office or garage. There are some very cool and beneficial pieces which you can buy, but they are not necessary in order to prevent and fix forearm pain. Question: Why do so many people prefer to learn with an Ebook, like Fixing Elbow Pain?? Learning through digital products is quickly becoming more and more popular, whether the information is about recovering from and preventing injuries, or other topics. Check out the benefits below. Question: How long does it take to get my information? You get the Fixing Elbow Pain Program right away, be able to access it in minutes and begin implementing it TODAY. Within seconds of placing your order, you will get access to the Fixing Elbow Pain program, and be able to start digging in. There’s no waiting for anything in the mail, because you will be able to download it all to your preferred machine and be able to instantly start reading. That is a total value of $154! Click HERE now to order the Fixing Elbow Pain System for $57 $27. In 7 days, if you don’t feel a decrease in your Forearm & Elbow Pain you get your money back! If that is Not Good Enough, Try the Fixing Elbow Pain Program For The Next 60 Days With A No-Risk, 100% Money Back Guarantee! “Test drive” the Fixing Elbow Pain Program for the next 60 days with absolutely no risk so you can fix your forearm injury and end your forearm pain. You can feel completely safe because you are protected by our iron clad 100% money back guarantee. You will not only be satisfied, I guarantee you will be thrilled and amazed with the Fixing Elbow Pain System, or you can simply email us and ask for a prompt and courteous, no hassles, no questions asked, 100% refund. In fact, if you’re not completely happy for any reason at all, then I insist that you ask for a refund. However, after seeing so many men and women end their Elbow Pain in a quick and effective manner, I am confident that you will be thrilled as well. P.S. – There is NO RISK at all for you when you try the Fixing Elbow Pain System. If you are not thrilled with how this system decreases your pain, let us know and we will refund your order. Your satisfaction is 100% guaranteed. Rick Kaselj and Jedd Johnson have been trusted by the largest fitness & rehabilitation associations in North America (NSCA, ACE, CanFitPro, BCRPA, BCAK, CKA, NHPC and RKC). P.P.P.S. – There’s only one catch to all this. You need to act now to get the complete package. We’ve been told this package is way too cheap now and the price will be going up very soon. So, if I decide to keep the price the same, a few of the components may be removed at any time and put up for sale separately. NOTE: The Fixing Elbow Pain System is a downloadable video and e-book. No physical products will be shipped. After you order, you will get INSTANT ACCESS to download the video and e-book. The e-book format is adobe acrobat PDF, which can be viewed on Mac or PC. The video format is M4V which can be viewed on Mac or PC. If you have any questions or need help, you can contact us at Support@ExercisesForInjuries.com.